Work-life balance is often an elusive concept for everyone these days. It seems like our lives are getting busier and our visions of productivity and peace are often interrupted by demands and obligations beyond our control. Women entrepreneurs have a special perspective on work-life balance, because they are often expected to fulfill a particularly demanding role at home and at work. Women are often expected to provide a lot of support in their relationships with their families (whether that’s in their role as a “mom”, “spouse” or “sister/daughter”) while also still feeling excited and energized to pursue their business and career goals. However, in many ways, being an entrepreneur might actually make it easier for women to create the lives they want for themselves. As an entrepreneur, even if you’re working longer hours, you get to spend those hours with freedom and flexibility, and with the ability to focus on the projects and objectives that are most important for your company’s success. As part of our series on National Women’s Small Business Month, we talked to a few small business owners about how they create the ideal balance between work, life, and family. BUMI (Back Up My Info!) is a premium managed service provider for online data backup and recovery, utilized by more than 500 small to medium-sized businesses. What is your overall attitude toward work-life balance for business owners? Is such a thing even possible? Are people thinking about this the wrong way? It all comes down to how we define work-life balance. I define it as the ability to work hard and be passionate about your work, but also have time for yourself in your personal life. There are certain situations where you will have to decide if your work or your family comes first. In these situations, it is important to remember that there is no such thing as a perfect life. But the situation is in your control and you have to be happy with the choices you make. When I started my company, BUMI, I did it to take control of my life. At my previous job, I had no personal life. It was all about work, all the time. With BUMI, while I worked my tail off during the first few years to get the business off the ground, I can now make the decisions I need to in order to make sure my family and my personal life comes first. What is your biggest challenge with work-life balance? My biggest challenge is that I only have a specific period of time to get my work done before its time to be home for my family. Being a business owner, I have a strong passion to grow this company fast and take on a lot of new business opportunities, but if it demands too much personal sacrifice, I won’t do it. My family will always come first. I can’t do it all, and I accept that. How does today’s technology (smartphones, social media, etc.) make it easier – or harder – to achieve work-life balance? On the one hand, it makes it easier to work remotely so I can be at home with my kids and take phone calls and answer emails. On the other, it makes it very difficult to take care of my kids and play with them when I’m getting reached via phone/email constantly. Again, it’s all about control. You realize there is a time and a place for everything, so you make a decision to read those emails right at that moment, or wait until the kids are asleep to do anything (and lose much needed sleep to get that work done!). Do you think women entrepreneurs face special challenges or unfair challenges re: work-life balance, and how can we change our society to make life easier for them? Yes. Mothers and wives who are also entrepreneurs are especially prone to special challenges, especially new moms (if you’re a breastfeeding mother, pumping breast milk at work takes on different challenges in a work setting). It’s so important to hire the right team to help you in your business so that you can take the time you need to be with your kids. If you can trust your team and know your business will run smoothly even if you’re not there, it’s easier to let go and live your personal life. It also helps your business because you can focus on running your business and looking at the strategic big picture, instead of getting bogged down in tiny details that would take up an unnecessary amount of time. If you have a good work-life balance, how do you know? How does it feel? I think I have a better work-life balance than most, but I’m lucky. The people around me have made it much easier for me to achieve a work-life balance. My husband works from home, so he can take my kids to school and pick them up every day. I have a great team at BUMI who I trust and I know they will take care of the business when I am not here (having metrics on all aspects of the business is key to knowing what’s going on when I’m not here). That being said, that’s not easy to do. Not everyone is able to have the same support systems in place. I’m not sure anybody really achieves a full work-life balance. Once you have a balance that works for you, it feels great to spend time with family and relax. But there is always a part of me that wants to do more for my business. I’ve realized I can’t do everything. I have taken the mentality to enjoy where I am, no matter where it is, and not to stress about it. Do you think that women can achieve BETTER work-life balance by starting their own business? No matter the situation – whether you’re single, married, have kids, don’t like your job, or love your job – you need to be fulfilled. The only way to be happy is to be fulfilled. So to have a happy life at home, you need to be passionate about what you’re doing. To go home every night and be happy and not stressed is the goal. Do whatever it takes to make this happen. Personally, I started my business to take control of my work-life balance. I decided I didn’t want to work 24/7. Now I get home every day at 5:30 p.m., and I don’t go in on Fridays, and I have plenty of time to spend with my husband and kids. Are there any other key insights or words of wisdom you’d like to share? There is no such thing as having it all. Your life isn’t going to be perfect. Nobody’s is. That being said, your life is in your control. How much time you want to spend at work and on your personal life is up to you. Find mentors, figure out what you want to do, be happy with it, don’t stress and you will find balance. 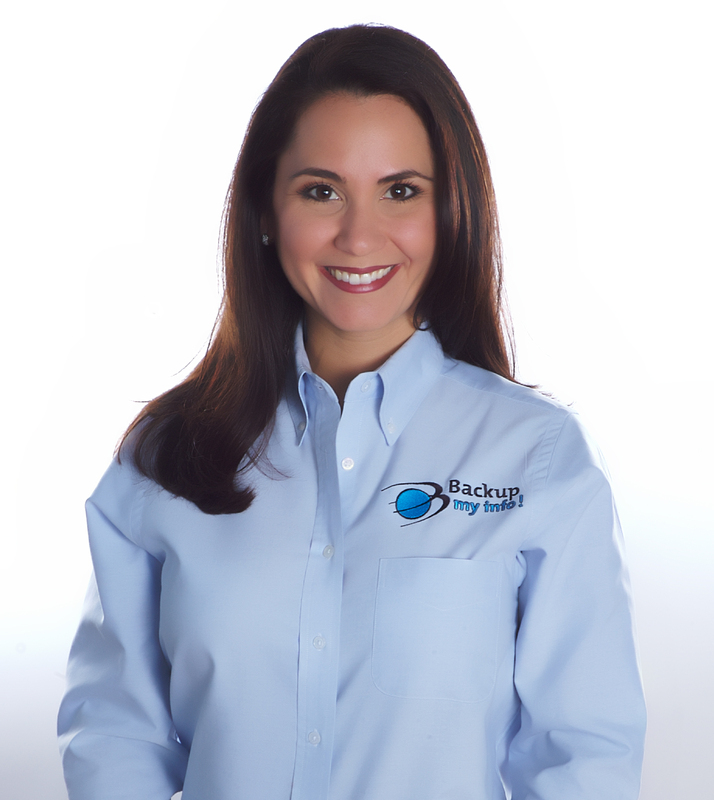 Follow Jennifer Walzer’s company, BUMI, on Twitter at @BackUpMyInfo. Snuggwugg is an interactive pillow for infants and toddlers that has been featured in Entrepreneur and the Wall Street Journal, and is a Huggies’ Award Winning baby product. What is your overall attitude toward work-life balance for business owners? Is such a thing even possible? I think that balance can be managed, but it’s a discipline for sure. I think there can be a lot of pressure associated with balance. Women are trying to hold it all together: our families, our businesses, and still take care of ourselves. Sometimes one of those aspects of our lives gets neglected, and many times, it’s taking care of ourselves. My biggest challenge is remembering to stop. Like most small business owners, I wear many hats. The work is never-ending. If I allow myself to, I could easily work countless hours with no breaks. That’s not healthy for myself, for my life, my family, or my business. I have to remind myself that the world won’t end if I don’t complete a task. And that’s especially hard for us women-entrepreneur overachievers who feel like we have to finish our lists! Technology will always be a tipping point on both sides of the work-life balance scale. On one side, technology is great because it puts your business at your fingertips. You can always get access to client emails, orders chime when they are placed, social media to speak with our customers, etc., which makes business much more efficient. On the other hand, again, it’s hard to enjoy your family and eat dinner with one hand on your smartphone checking your inbox. I’m guilty of having done that. So technology is great, but as business owners we have to learn when to say no and just put everything down. When I am able to say no. When I can put the phone down to enjoy my family after I’ve worked a great day, that’s how I know I am in balance. In a way, do you think that women can achieve BETTER work-life balance by starting their own business? Absolutely! And that is why more and more women are becoming entrepreneurs. Women are resilient and we will find a way to make our life work. So, if our corporate job no longer benefits our whole life – which includes ourselves, our families, and our ambitions – then we will create our own path. And that is exactly why I created Snuggwugg®. As women entrepreneurs, when it comes to our work, we take great pride and we work just as hard as men do – and often times even harder. However, on this amazing journey as a small business owner, it’s important to remember the “why” behind our business. Most of us created a business to build a better life, not to make our life serve our business. If we can remember that, I believe that is the ultimate key to obtaining balance. 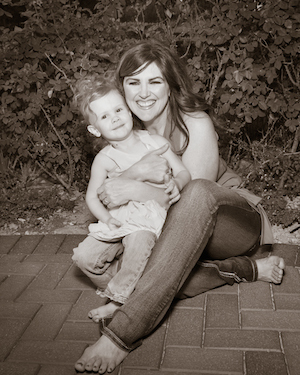 Follow Lisa Cash Hanson on Twitter at @MompreneurMogul. Create Possibility is a strategy consulting firm in California that serves nonprofit organizations throughout the U.S.
As with anything else, we have a choice. If work-life balance is a priority, then we need to focus on how to make it happen without getting hung up on what’s not working. Mindset matters. When I started my own business, Create Possibility, two years ago, I had a very clear vision of what success would look like: it was more free time to hang out with friends and work out while living at the beach! I love my work! I could work on it and in it every day until I drop. But each week I commit to actually scheduling time to do social things, work out, schedule vacations, etc. to make sure that I’m not only focused on the company. For example, at the same time I started my business, I coordinated a monthly Girls Night Out and it’s a blast! I’d say technology mostly makes it easier – the only challenge I see is keeping up with the changes and selecting the most effective technology. It’s like with anything else – social media, for instance, is necessary for any company to compete and to include in a marketing strategy. It could really consume a lot of time, but smart business owners focus on priorities and use scheduling tools to ensure they don’t get lost down that rabbit hole. This might not be a popular perspective, but I think gender is irrelevant. Just as there are still biased social roles for women, men deal with them also. For example, it’s kind of crazy how there are still stereotypes that support the idea that men must step up and be the primary earners. Well, I’m here to tell you as a single mom, and successful executive, I don’t buy into that. Again, we all choose how we think and what values or assumptions we align with. If you want to change your reality, start with one person at a time and just take the next step. If you have a good work-life balance, how do you know? For me, it’s simple – I get that feeling of being in balance when I am not rushed or overwhelmed. I know I’m in balance when I can see the value and long-term impact in every day and every project. I have time to do the things that matter to me and I’ve taken the time to outline those goals in advance. These are the goals that are actually more critical to my overall success than my business goals. I think it depends on the person. For me, leaving the traditional workforce and starting a business was the best move I ever made. I’ve always excelled when left to my own devices, so there is significant motivation for me in having the freedom to choose what type of work I will do, who I bring onto my team, what clients I work with, what hours I work, etc. I find I actually work fewer hours, because I can work much smarter without the distractions of a bureaucracy. The exception to this was when I was writing my book last year – it was a lot of writing on nights and weekends, but I loved doing it (mostly) and it was temporary, so I actually got energy and insight from the process which then benefitted my business. 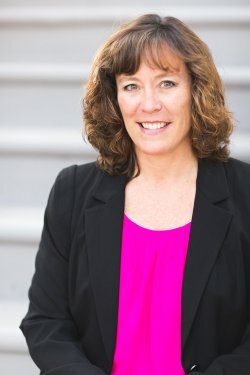 Follow Cindy Phallen on Twitter at @CindiPhallen. What were your favorite work-life balance tips from these interviews? How have you achieved better work-life balance in your business? Tweet us at @KabbageInc and let us know!